Giants spring training is wrapping up in Arizona, and moves are still being made. Thursday evening, the Giants made a trade with the Cincinnati Reds that could shake up the final 25-man roster at the eleventh hour. The Giants acquired infielder Connor Joe from the Reds in exchange for minor leaguer Jordan Johnson and cash. The latest move is a minor one, but it could have a major impact on final roster decisions. Henry Schulman of the San Francisco Chronicle joined Murph & Mac Friday morning to discuss the latest move and what impact it could have on the final roster decision. “Connor Joe is obviously a guy that Farhan likes,” Schulman said. “He had him in the system last year. He knows what this guy can do, he’s got a little pop in his bat. He’s not a twenty homer guy, but he’s a right-handed hitter, which is what they need. Positional flexibility is very important to Zaidi. Another player that will be competing with Joe for a roster spot is Pablo Sandoval. 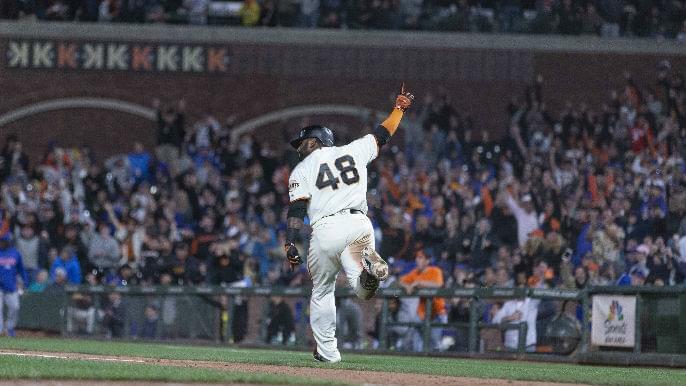 The fan favorite is far from guaranteed a spot on the roster after this move, which might beg the question, could there be a power struggle between Zaidi and Bruce Bochy over the decision to keep Sandoval? After two straight losing seasons and potentially headed towards a third, the Giants brought in Zaidi to shake things up and make the hard decisions. It will be interesting to see how the Giants final 25-man roster shakes out between now and opening day. There’s lots of competition for very few roster spots, and tough decisions will have to be made.